It used to be so easy. You either bought the record (yes, vinyl) or the CD. Then download services came along – both legal (like iTunes) and illegal (like Napster and Limewire, which of course I never used) and availability exploded, and also gave you the chance to preview before buying, but the variety for “club” music wasn’t really there. Record stores (like Platinum Records who had a store front in Seattle) still were the place to go. There was something magical about digging through a bin and finding a gem, then watching a crowd explode when it dropped. Sure, record pools have always been there but they were difficult to find, and nearly impossible to join. 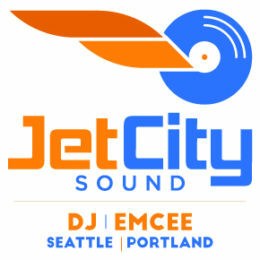 If you weren’t affiliated directly with a radio station or the resident DJ at a club, they didn’t even return your call. Enter the Digital Age. Getting the gear is easier than ever, and so is access to tracks. There are so many record pools out there and joining is as easy as having a credit card. It’s also super easy to get overwhelmed. So how do you choose a record pool? 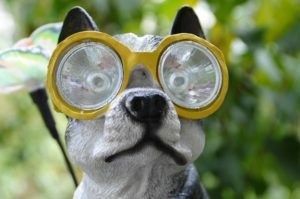 Lets start here: What is a Record Pool, anyway? Think of it like a private club. All the members are DJs, playing music in clubs, or at weddings, or at parties, or on the radio, or wherever they’re hired to play. That club teams up with record labels, artists, producers, remixers… lets call them the ‘creators.’ The creators send music to the pools, and the pools distribute the music to the DJs. The pools then collect money and distribute it back to the creators, or sometimes the creators give it to the pools as a promo so the person at the club hears the track and buys it. Makes sense? For the last several years I’ve been working off my back catalog. It’s treated me well and was everything I needed for the events I was DJing. I had quite the CD collection going, and would rip stuff down when I needed to. Sure, I’d have the occasional iTunes purchase, but that was plenty. Now investing time, money and energy to making DJing a bigger part of my life it’s time for a major refresh – so bring on the record pools. I’m serious there are SO MANY record pools to choose from. It’s easy to sink into them and never be able to crawl out. Choose wisely, grasshopper. I started by looking at as many as I could and seeing how they were arranged – price? genre? I needed one that gave me some current pop and hip-hop hits, some dance remixes of those, some old skool, some drum & bass, and some tools (like scratch sounds, background music, etc). I wanted the bulk of availability to be funky house, disco house, jazzy house and big room, 4-on-the-floor bangers. There are no single pools that had everything I wanted, so here are the 3 I’m starting with. Club Killers is way more than a record pool. 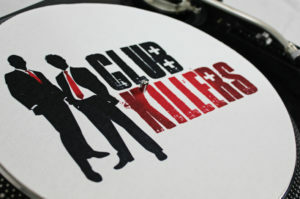 Billed as the “World Famous Club Killers Crew • Las Vegas based DJs, Producers, Music & Nightlife blog • Club Killers Radio Podcast”, Club Killers is also a store (with loads of merch) and a great resource. It’s also the closest I’ve found to everything I want, and at $40/month you pay for it, too. They clearly mark clean/dirty, and have multiple versions of tracks (short edits, extended, intro, etc) but what I’m loving most is how many remixes there are of big hits, quantized remixes of human-drum tracks, etc. The stuff I get from Club Killers is perfectly mixable. And it’s also kinda fun that they’re a Crew – not just a service – so I’m part of a bigger team. You do have to apply to join, tho – you can’t just sign up – they only want pros. The Good: Awesome selection of music, exclusive remixes, well laid out site, deep catalog, really good curated selections, express download to all the latest. Overall: I’m super happy with Club Killers. I really wish I could add more than 10 tracks to a zip for downloading, but that’s a small problem to have. They also could use more 80’s/90’s stuff, but the music they do have is fantastic for what I need. This is the one I remember from my radio days. We used to get CDs and vinyl delivered to us. 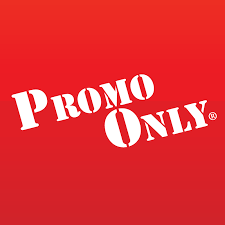 If you’re super diligent about downloading when something comes out, and need to be on top of what’s new every week, Promo Only is the place. There are different subscriptions you can get for dance, urban, latin, pop, etc, and they also offer bundles which saves a lot packaging together different collections. What I’m loving most about them is the dedicated app that lives on my computer and controls downloads. In a glance I can see what’s new, what I’ve downloaded, the genre, the BPM, and also preview tracks right in the app. A little thing, tho, is the samples take a second to load (even on a fast connection) which is annoying. On the plus side, you can specify where to download so you don’t have to move tracks to a separate folder later – they are already there. The Good: The app, the price ($12/month get me the Dance Audio set) and how current the music is. The Bad: No access to old catalog, audio samples take a long time to load. Overall: I think this is the first one I’ll cancel. I don’t need the absolute newest music, and I don’t get enough variety for the price (like back catalog). 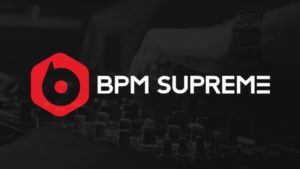 I learned about BPM Supreme when I bought my controller – the Roland DJ-505. A card inside said I would be offered a free trial subscription when I registered, but that email took a day to get to me. I figured that was an old promotion, and liked what I saw, so decided to give it a go anyway… and I like it. There’s new stuff every day, and it’s super easy to add tracks to a virtual crate and download the whole thing. It maxes out, but at like 20-30 tracks (not the 10 that Club Killers is). Their catalog is also super deep, with lots of old skool, 80’s, 90’s, disco, and other stuff that really speaks to me and what I like to play. They also clearly mark clean/dirty, and have multiple versions of tracks (short edits, extended, intro, acapella, instrumental, etc – not for all, tho). Overall: So far, no major complaints, but also nothing super strong that makes me want to be loyal for the long haul. So, we’ll see. I’m super impressed at the availability, quality and ease of getting great music right now. 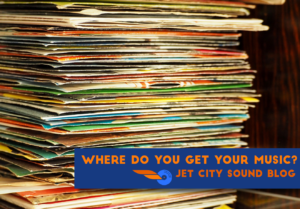 A DJ is a DJ no matter where the music comes from or what they play, but the record pools sure make it easy to get rad tracks. Stay tuned to see which I stick with, which I get rid of, and if I find any new ones. What DJ music pool(s) do you use?